Ashlee Simpson Ross and Evan Ross on MTV TRL! Hello everyone! 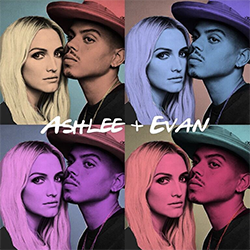 Yesterday (September 12), Ashlee Simpson Ross and Evan Ross’ interview for MTV TRL has been aired. Find an extract of their appearance below + MTV’s Instagram story. Ashlee and Evan will do a live on Facebook today at 4:30PM PT. They also will be on the show ‘Larry King Now‘.